[ARCHIVED THREAD] - Thinking of buying a WASR 10. I hear the new ones are much nicer. Is the the WASR 10 better than the old. The ones I saw in the gun shop looks like the fit and finish is nicer and have a 2014 date stamp on the receiver. Yes. I bought mine in Feb of this year. Straight sights and good action. I tuned it up by polishing the rails inside the receiver and the carrier, changed the furniture, and buying a red dot for it. I am happy for my purchase. Thats good to know. I have always liked the WASRs. The new ones that i have saw look pretty good. I've heard the new ones are pretty good. bought mine in june/july 2014, pretty nice. slight cant to front sight but no big deal. Bought mine in July of this year and it ranks up there with the other AK's I own i've been amazed at it really for $485, it was definitely my best purchase of the year. I will say the stock furniture I got with mine was very rough but some sanding and staining fixed that right up. Range wise it's accurate for an AK the action is smooth, the charging handle doesn't bind like my Tantal sometimes does, it's been flawless through about 1500 rounds so far. Is it a beauty queen and is it sub moa? no but is it rugged, reliable and a whole heap of fun, hell yes! J & g has them on sale for $450 right now. I bought a new 2013 production WASR last year, sights were straight and out of the box it was zeroed perfectly at 25 yards. Action was a little rough but didn't affect function, I did a 10 minute polish job and really smoothed it out. Magwell cutout looks clean with no wobble on surplus Romanian/Hungarian mags. Bought one recently. Just went out today with some buddies and shot it along with theirs. WASR ate all the different ammo like an animal. No problems. Long story short. After testing my buddies and doing some research I wouldn't get any AK but a WASR. In fact I plan on getting another one. For the price they are unbeatable. Sure the stock isn't pretty, so refinish it. Hell it's fun. Sure it wasn't as smooth as my buddies action but who cares about that. Are you really willing to spend that much more on gun? I wouldn't even if I was rich, I'd just buy more WASRs. I'm not trying to put anybody down, just saying if you can find WASR for under 450, take it. OP, I certainly hope the new ones are better quality. I am currently waiting on one I bought from J&G on sale to pick up from my FFL. I remember about 10-12 years ago buying a couple of Romanian SAR-1 rifles and BOTH had horribly canted front sights. My gunsmith had to take off both front sights and pound those suckers upright and straight and redrill the front sight pin holes and reinstall the front sight pins. The boys must have had too much vodka the day they made my two and the guys were seeing double. 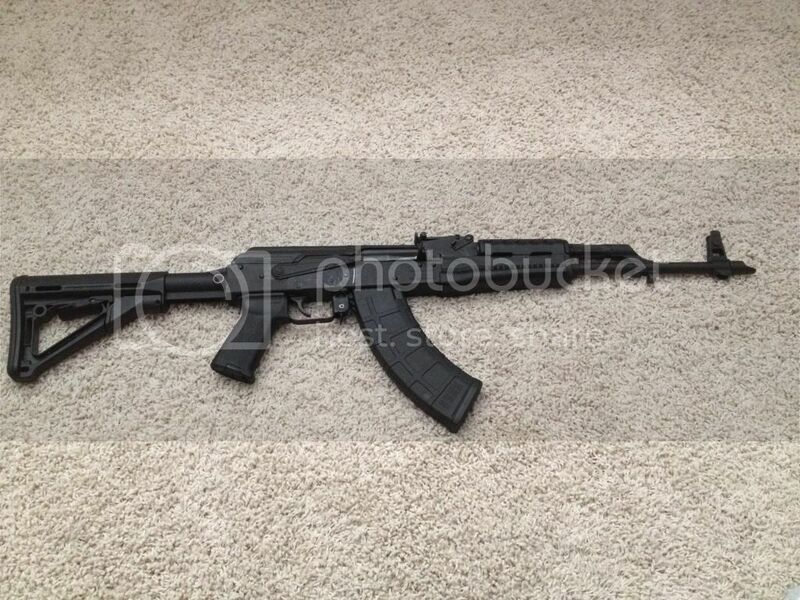 Now if my new WASR-10 has a little front sight cant I can live with it for the sale price I paid. 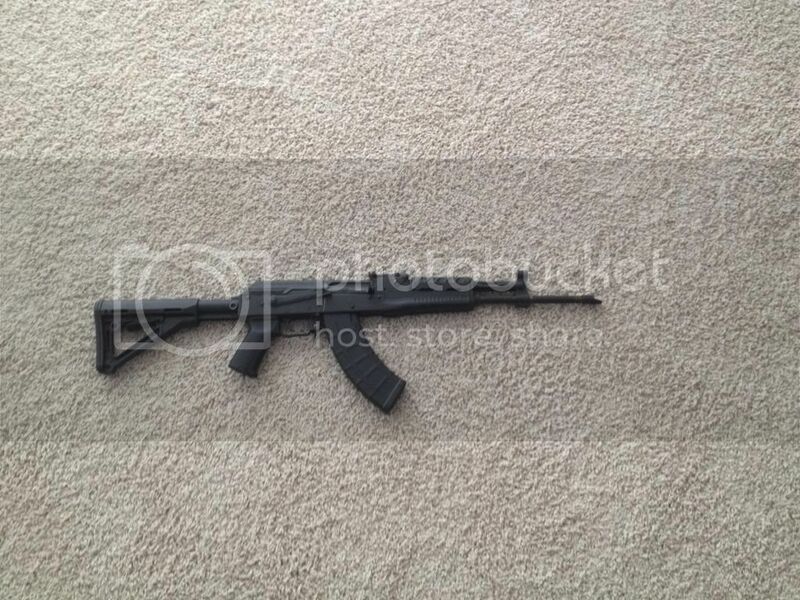 If it has a LOT of front sight cant, I will fix it the same way my gunsmith fixed my two SAR-1s. Yes, it has been my experience that the newer Romanian rifles ARE of better build quality than some years back. The vodka ration must have been cut at lunchtime. New ones seem to be doing better overall. I picked one up a few weeks ago. The front sight was canted but it zeroed fine so it wasn't a big deal to me. But the front sight drum was so loose I could drift it with my finger. I thought about fixing it myself but it was still under warranty so I sent it back. Century fixed the canted sight and staked the front sight tower. I haven't gotten a chance to zero it yet. I'm very happy with my newer WASR. Much nicer than some of the old ones I've handled. I just ordered one from J&G sale. When I email them J&G told me that those WASR10 are 2014 manufactured. So as soon I get it I will post a overview of it.